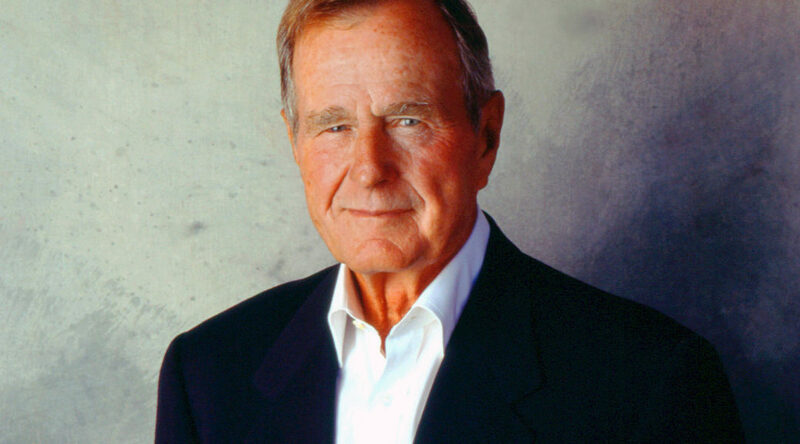 President George Bush died late last week. His funeral will take place in the next few days at the National Cathedral in Washington, before his family flies his body to College Station, where they will bury him on the grounds of his Presidential Library at Texas A&M University. Bush lived a long life in public service. He served as a pilot in the second World War, as the director of the Central Intelligence Agency, as the US Ambassador to the United Nations, as Vice-President under Ronald Reagan, and President himself from 1989 to 1993. Some have praised his temperament, his character, his devotion to service. Some have criticized his failures and his mistakes. I am ambivalent about much of this. I agreed with few of his policies, and was disappointed by his many shortcomings, but I also can see the merits in viewing him as one of the most consequential one-term presidents in American History. While I imagine I would have agreed with him on few issues, I expect he would have been an interesting and interested conversationalist, a man who stands in stark contrast to the current occupant of the White House. This is the final week of classes at Geneseo, and in my Native American survey course, we will be discussing some of the accomplishments of Bush in the realm of Indian affairs as I rush to do as much as I can to bring us up to the very-near present. The concepts of forced termination and excessive dependency on the Federal Government must now be relegated, once and for all, to the history books. Today we move forward toward creating a permanent relationship of understanding and trust, a relationship in which the tribes of the Nation sit in positions of dependent sovereignty along with the other governments that compose the family that is America. That is certainly not a ringing endorsement of tribal sovereignty and at best a qualified statement acknowledging native nationhood. Still, Bush’s presidency was a consequential one for native peoples. During his four years in office, the United States Supreme Court decided the important religious freedom case of Employment Division, Department of Human Resources of Oregon v. Smith adversely for the Native American drug treatment counselor who originally brought the case, and Duro v. Reina, which expanded upon the logic of Oliphant by barring tribal criminal jurisdiction over non-member Indians. Bush can not be blamed for the actions of the Supreme Court, of course, and he ought to be acknowledged for some o f the legislation that he signed. In November of 1989, he signed the National Museum of the American Indian Act, which would “give all Americans the opportunity to learn of the cultural legacy, historic grandeur, and contemporary culture of Native Americans” through the construction of a American Indian Museum on the National Mall. He signed legislation establishing a joint federal-state Commission on Policies and Programs Affecting Alaska Natives and, later, an act establishing an “Advisory Council on California Indian Policy.” He signed the Indian Arts and Crafts Act of 1990 “to promote the development of Indian arts and crafts and to create a board to assist therein,” in establishing standards of authenticity for Native American arts and crafts. And most importantly, President Bush signed the very important Native American Graves Protection and Repatriation Act, which required that any entity receiving federal funds identify and offer to return to native peoples the human remains they housed in their collections. George Bush, like many historical figures, was complicated. Historians can accept that. He lived a long life. He served his country. He did some important things, and he did things that were destructive. There is no need to rush to judgment about the meaning of Bush’s career. I will try to get my students to assess these policies this week, add them up, and decide how significant they were for America’s native nations.